They say, "write about what you know." Well in a food blogger's case, "blog what you eat." 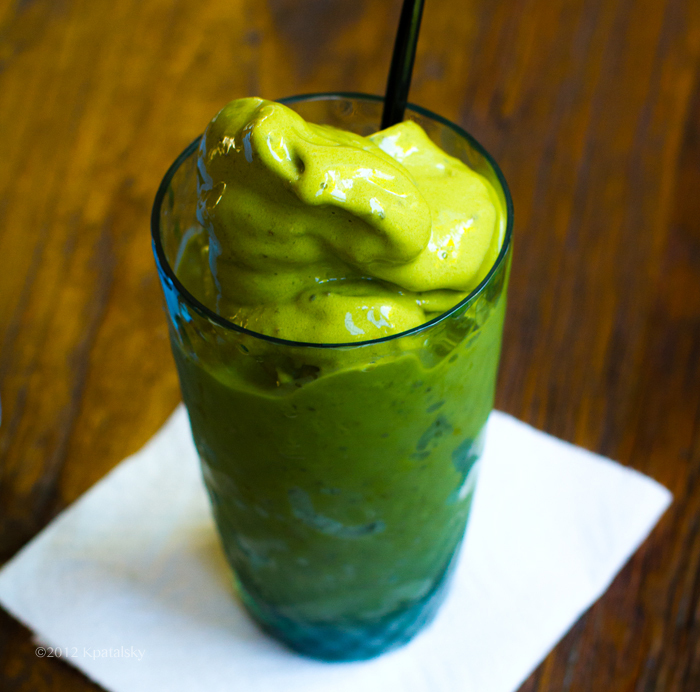 And so my Matcha Smoothie / Shake deserves one last salute before I officially welcome in this new fall season of crushed leaves, my Vaute Couture fall coat, crisp breezes and golden pumpkin daydreams. Golden Trio Chipotle Fall Soup. Crispy Tofu. This Golden Trio Chipotle Soup combines three of my favorites: butternut squash, pumpkin and roasted sweet potato. Then I blend in spicy notes of chipotle powder, cinnamon and a hint of nutmeg and black pepper. Some garlic too - but just a touch. 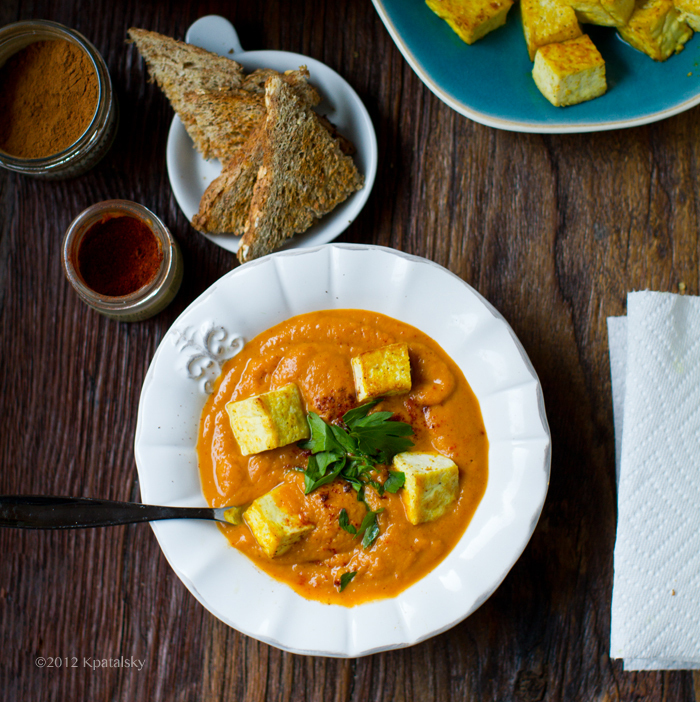 To diffuse the spiciness, I add some creamy non-dairy milk and an optional splash of coconut. On top, a dusting of spices and dainty pinch of chopped flat leaf parsley. And some amazing little golden cubes of tofu too. "Soup Croutons" - I call them. These Vegan Pumpkin Cookies remind me of fall. Kind of rough around the edges, hazy golden-orange color, cozy, rustic and infused with loads of pumpkin personality - plus a few surprises. Those surprises in these bumpy, blissful cookies include nutty pecans, rolled oats and vegan dark chocolate chips. 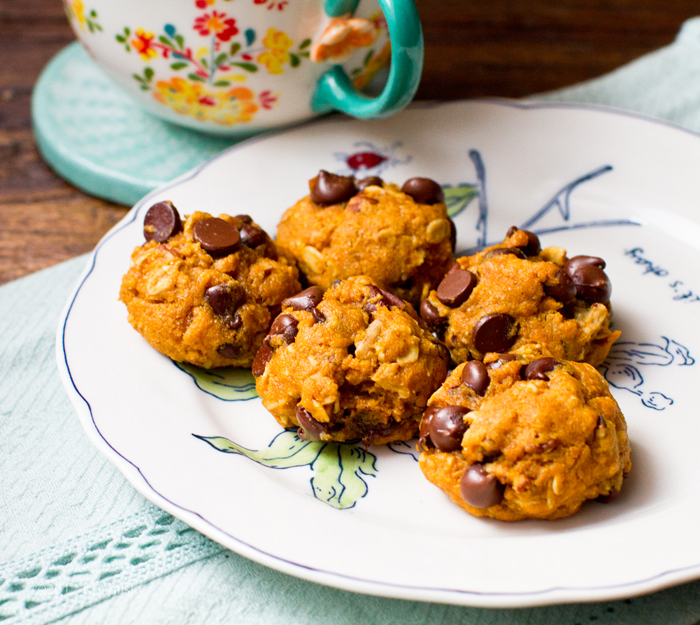 Give your usual favorite cookie craving a fall makeover by adding in pumpkin!.. This Sweet 'n Smoky Tofu Cashew Broccoli Bowl is one of my favorite one-bowl wonder sort of meals. It is really very simple. 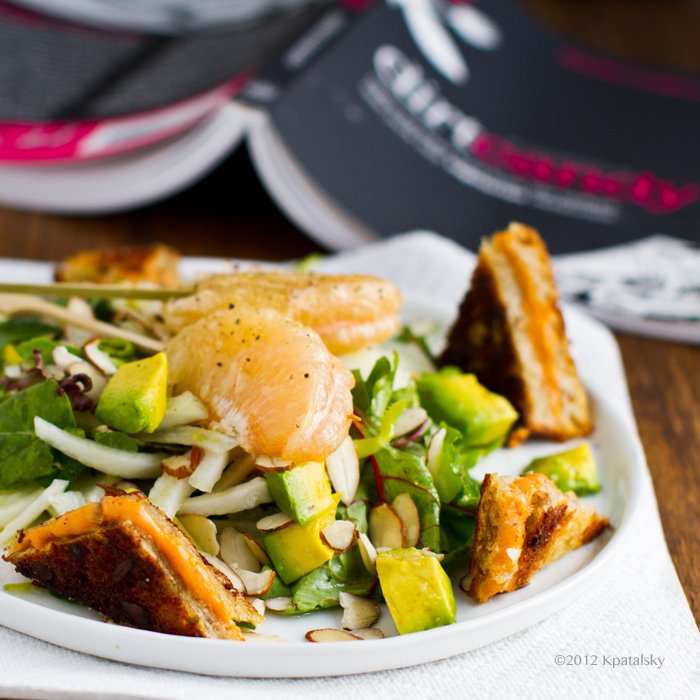 A grain, veggie, nut, tofu and lively citrus accent. But it plates up quite stunningly with the thick triangle tofu and pops of color. Flavors. 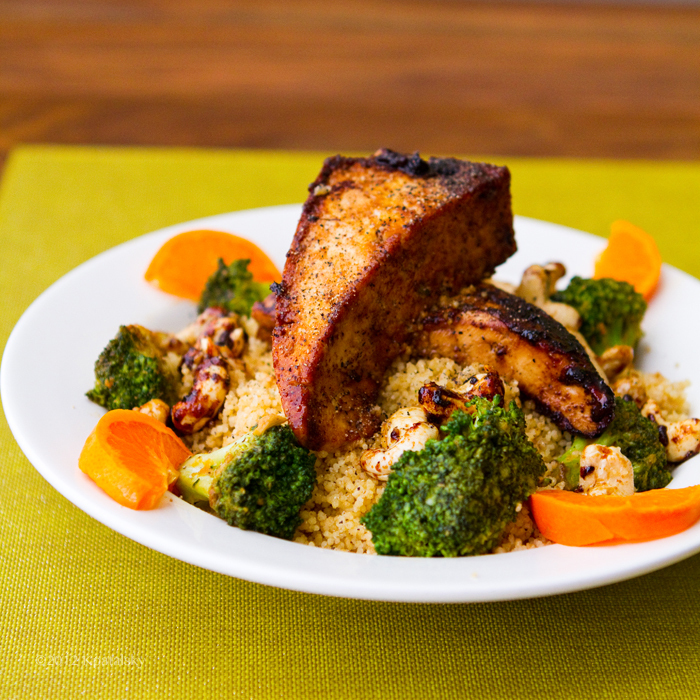 Sticky sweet blackened tofu is flavored with citrus, tamari, pepper, maple and liquid smoke. Crunchy pan-toasted cashews are also wrapped in sticky sweet flavors. A savory bed of golden couscous studded with sweet golden raisins blankets your bowl - or substitute with quinoa or rice if you'd prefer. And that cheezy broccoli adds the perfect green accent to this healthy feast. Citrus notes throughout. 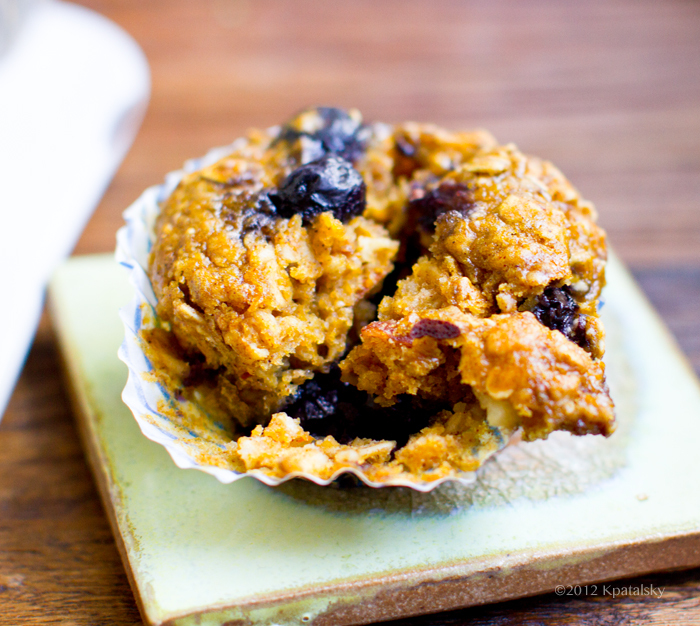 Blueberry Oat Muffins + Pumpkin Chai Spice Muffins. I wanted to make one, but midway through making my pumpkin muffins I was filled with blueberry love and just decided to fold in a mega dose of giant organic blueberries. Then as I was scooping these crazy hybrid muffins into their cups - thinking that I had just wasted a baking session - I could admit that I was really curious to see what blueberry + pumpkin muffins would taste like. Swirled flavors. Hybrid muffins. Hm, if Ben and Jerry can do it with ice cream - I can do it with vegan muffin recipes!.. Spicy Sauté Sandwich. Fuss-Free Lunch. 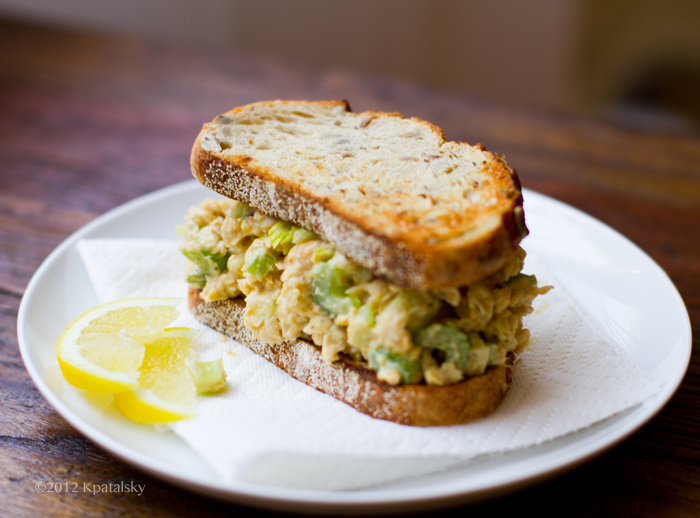 This Spicy Sauté Sandwich is a fast, fuss-free, vegan lunch to crave. Salsa-sauteed peppers and onions - all caramelized and delicious - spin with some veggie protein and fresh parsley. All sitting atop some warm hummus-slathered toasted bread. 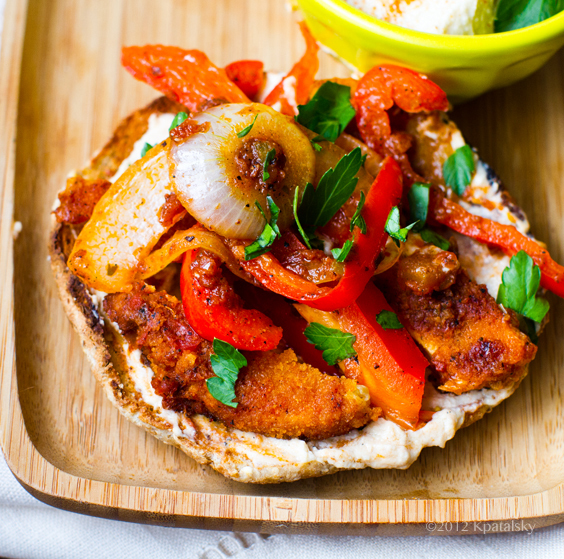 This spicy, comfort food sandwich will give your day a boost of flavor, warmth and red hot spice-appeal! 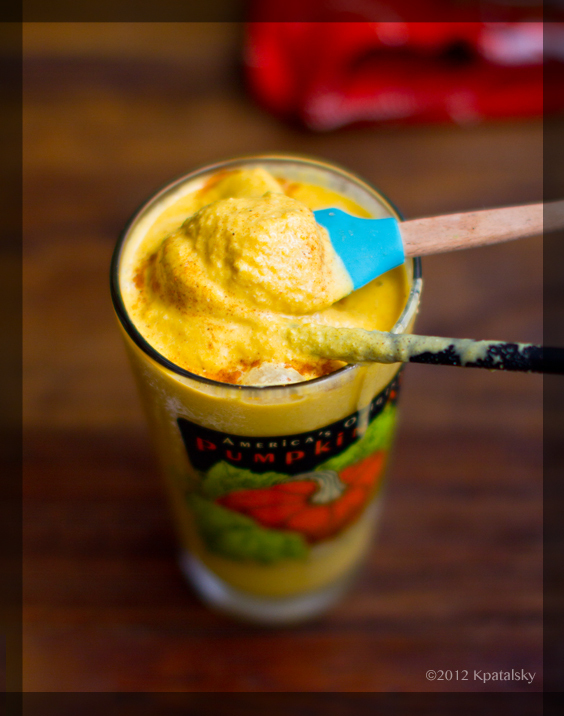 Easy to crave this quick fix bite..
Frosty Pumpkin Shake. Summer Meets Fall. I'm quite certain that there is a cozy place where summer meets fall. Maybe in a small cafe, under a dusty golden tree with sparkly amber and chestnut-colored leaves, a babbling brook circling the back porch, gushing under a stone bridge, pink and gold fireflies skimming the cold blue water. Inside the cafe are dozens of tiny wooden tables all serving up this treat. 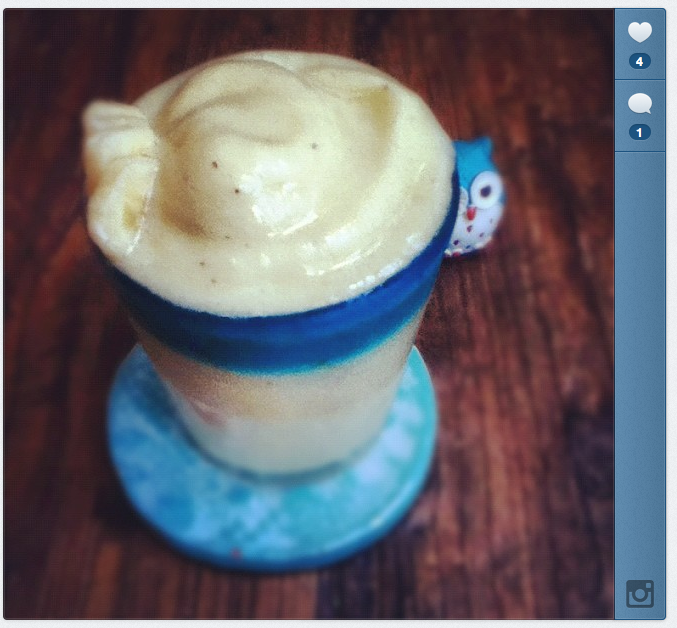 Ready-to-sip glasses of my vegan Frosty Pumpkin Shake. Lets all go there and grab a sip, yes? Shake Up Pumpkin. Thick and frosty with hints of cinnamon and coconut - this pumpkin shake is the perfect way to embrace your craving for pumpkin amidst the heat of late summer. Plus get my cube technique for making the thickest pumpkin shake ever - without adding in any vegan ice cream.. I really do love my waffle iron. I bought a basic, kinda cheap version since I don't use it all that often - but it gets the job done quite nicely. Waffles are fun to make and the flavor combinations are endless. Not only can you make classic sweet waffles like chocolate, blueberry, vanilla, peanut banana bread and cinnamon-swirl - but also savory waffles you can serve for breakfast, brunch, lunch or dinner! Savory waffles are a creative replacement for bread, biscuits and dinner rolls. 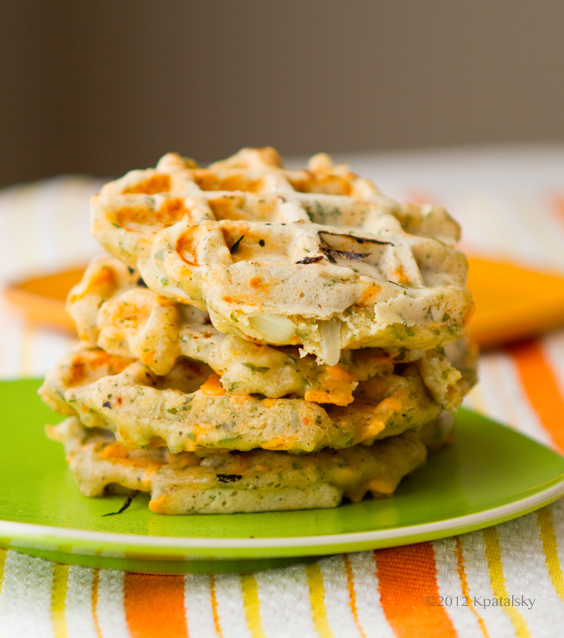 These Cheezy Herbed Savory Waffles are studded with cozy bits of Daiya cheese and flavorful herbs like parsley. They remind me of cheezy biscuits - but with all those crispy waffle nooks and crannies that we all love..
Peanut Butter Chocolate Chip Muffins. Vegan. 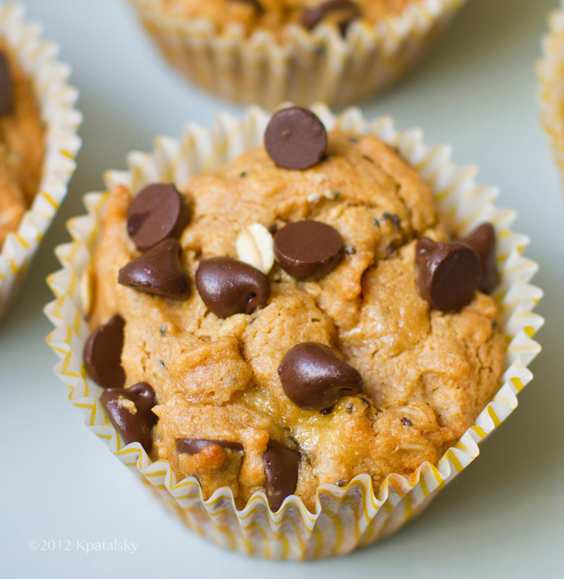 These Vegan Peanut Butter Chocolate Chip Muffins deliver some cozy, healthy-deliciousness to your day. Perfect for pairing with your favorite morning hot beverage - or as a mid-morning or late-afternoon snack. These agave-sweetened, dark chocolate chip infused muffins are even dessert-approved. I like how there are slight ripples of peanut butter in each muffin. 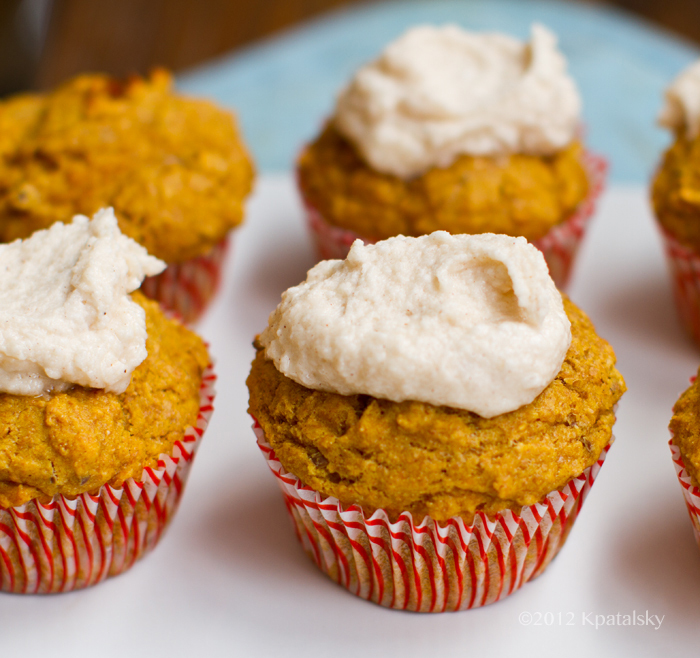 I even serve them messy-style with another gob of peanut butter..
Infuse your morning with some pumpkin pie flavor. You'll feel like Martha Stewart with a platter of these in your kitchen..
Move aside toaster tarts. 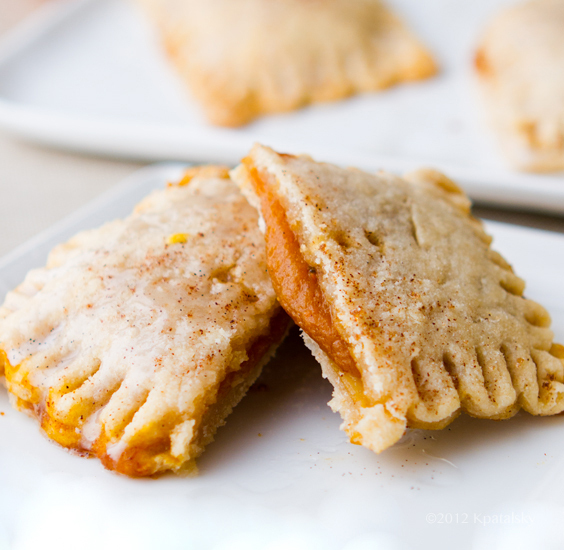 These flaky, warm Pumpkin Pie Tarts are a special morning treat for fall. Vanilla bean glaze on top. These cute heart and rectangle-shaped tarts - with sweet crimped edges - are perfect when paired with your favorite hot beverage. A vegan pumpkin spice latte maybe .. too much pumpkin? Or is that even possible?.. 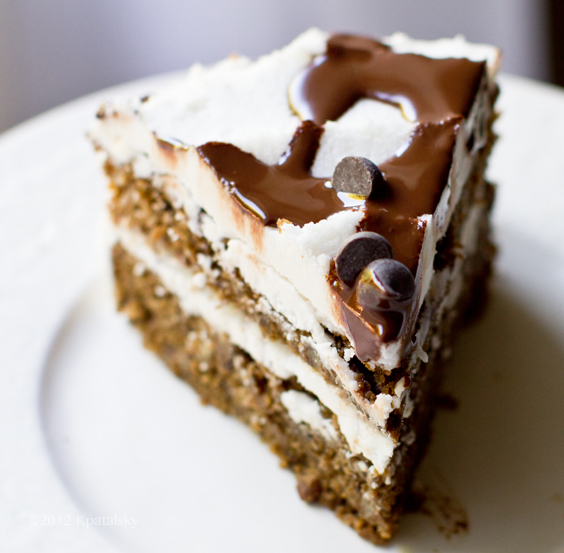 My Vegan Mocha Layer Cake layers moist, coffee-infused, pecan-cinnamon cake with creamy, dreamy coconut-vanilla frosting and a messy black and white zig-zag ripple of melted dark chocolate. Call it the "mocha latte" you can slice and devour with a fork. Crave this bite - and make it for yourself!..